Concordia-TIMEP Programming Partnership: By engaging an influential group of cross-sector leaders in the human rights space, the partnership will strive to secure new avenues of collaboration to deliver TIMEP’s analysis, research, and advocacy resources to a wider international audience, with the ultimate goal of contributing to the national dialogue concerning the Middle East and promoting well-founded policy in the region. 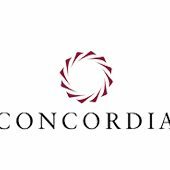 Additionally, this partnership will seek to elevate marginalized voices from the region onto a global stage, an approach aligned with Concordia’s commitment to inclusivity across its programming. Bassem Sabry Democracy Fellowship: A partnership between the Tahrir Institute for Middle East Policy and Atlas Corps, a leader in international exchange fellowships, in honor of the late Egyptian commentator, Bassem Sabry. The six-month residential fellowship program, supports native Middle Eastern and North African writers and analysts who have demonstrated a commitment to the promotion of democratic and inclusive change. Syria’s Women: Policies and Perspectives: A project partnership between the Tahrir Institute for Middle East Policy (TIMEP) and Syria Deeply explored the issues facing Syrian women, such as access to education, women’s role in the economy, peacebuilding efforts, violence against women, health, and arts and culture. 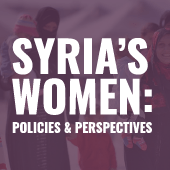 Through in-depth, multimedia reports and policy briefs, we aim to provide a platform for new and diverse perspectives of Syrian women to foster a deeper understanding of their essential role among policymakers and the public. TIMEP-Karam Foundation Advocacy Partnership: An advocacy partnership between the Tahrir Institute for Middle East Policy (TIMEP) and the Karam Foundation, a leading nonprofit organization specializing in smart aid, sustainable development, and innovative education for Syrians in Syria, Turkey, Lebanon, and Jordan. TIMEP works with Karam to expand and inform actionable U.S. and E.U. policy on the Syrian crisis, with a special emphasis on the plight of Syrian refugees. TIMEP is proud to partner with a variety of organizations on programming events, advocacy initiatives, and fellowship opportunities. Partnerships allows TIMEP to continue to share our expert analysis, conduct targeted advocacy, and elevate local voices. To partner with us please email Development and Projects Director, Sara Abdel Rahim, at sabdelrahim@timep.org.